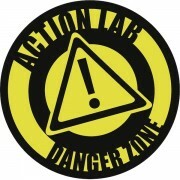 Action Lab: Danger Zone have released previews of this weeks comics – including the TPB of Kingdom Bum! With his Mini-Ginger army and his faithful steed GingerDragon, the Gingedead Man looks to be an unstoppable biscuit of the cookiepocalypse. But his now-nemesis Kayla isn’t giving up so easily and she believes that some times that you have to throw out a bad batch! The final issue in the Baking Bad saga concludes HERE! Notes: Variant Covers limited to 1,500 copies each! Artist Name(s): Jon Reed (pencils and inks), Jen Hickman (colors), Adam Wollet (letters). Cover Artist(s): Main Cover: Jon Reed and Jen Hickman. dark and sinister force that will be born from their inevitable battle – the rise of The Thumbless. own hands. And he hasn’t come alone. Anthony’s short reign as Puppet Master may be coming to a screeching halt. At long last Zombie Tramp is reunited with Tyrone, the man who ruined her life. But Janey’s plans for revenge are slipping away, what with her being his prisoner, and with him planning to keep her soul as a trophy!! Now it’s up to her long lost mentor and friend, the twisted voodoo queen Xula, to save the day in Pimps, Ho’s, and Hocus Pocus part 2! Features a risqué variant by TMChu, an “action figure” and risqué “action figure” variant cover by series creator Dan Mendoza, and regular and risqué artist variants by Daniel Arruda Massa (Holy F*cked).